FLOMAX® self priming centrifugal pumps are capable of creating vacuum sufficient to lift liquids from heights up to 25 feet above the source. 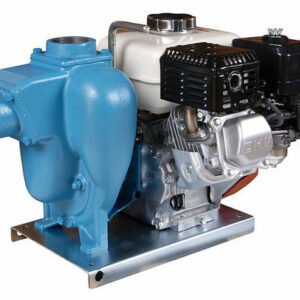 Once primed, the pump’s built in flapper valve will maintain a full column of liquid in the suction line. A FLOMAX® PumPAK® is a fully assembled and run tested pump end that can be easily coupled to a number of drivers such as hydraulic motors, 56C and 145TC frame motors and gas engines. A bearing pedestal is also available for T-frame motor or belt drive. Standard features include stainless steel drive sleeve, stainless steel fasteners, renewable wear plate, and a semi-open dynamically balanced impeller. Options include double grease-lubricated seals, stainless steel impeller and seals for all types of abrasive and / or corrosive services. 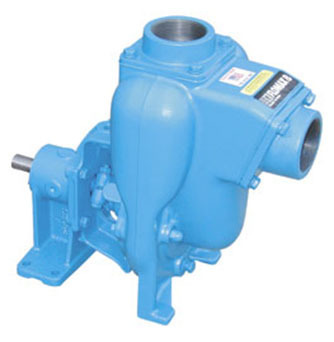 Hydraulic motor .22 cu. in. Hydraulic motor .37 cu. in. Hydraulic motor .45 cu. in.